A Summer Reading Bucket List is a fun way to encourage kids to read over summer break. This one has reading challenges that introduce kids to different genres. Other bucket list items make reading more interesting with creative places and ways to read. I added several options that let kids choose any type of book they want, as long as the title of the book includes a certain type of word. Kids get bored easy so changing the reading material isn’t enough to keep them excited about reading all summer. So, I included a lot of different options to read in different places and ways. One thing you’ll notice about book lovers is that they read anywhere and everywhere. To help create reading fanatics, I’ve added lots of different places to read to the bucket list. It can get to be a chore if you always have to read to yourself, flipping through pages. Sometimes it’s fun to change how you interact with literature. 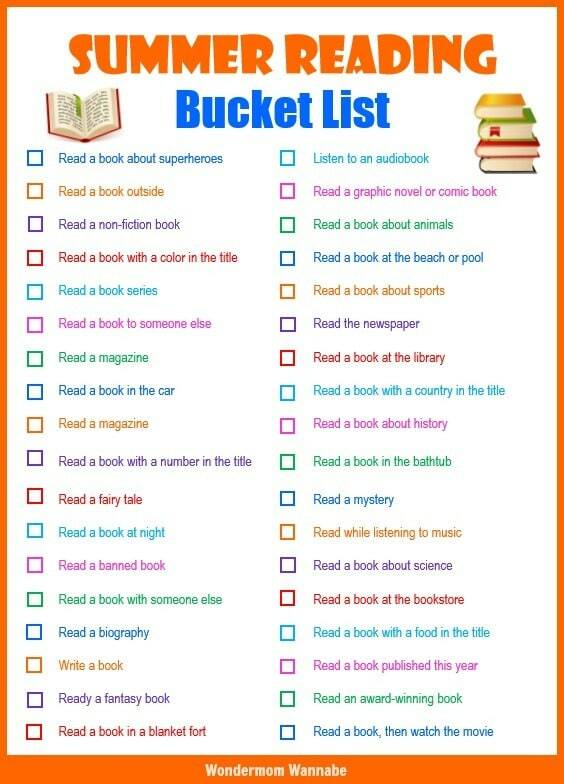 I originally made this summer reading bucket list for my kids, but I’m actually taking the challenge this summer too! I tend to read the same types of books. I’m looking forward to broadening my perspective. You could even tackle the bucket list as part of a family book club challenge. Or, if your family is as competitive as mine is, you could have a contest to see who can complete their bucket list the fastest! 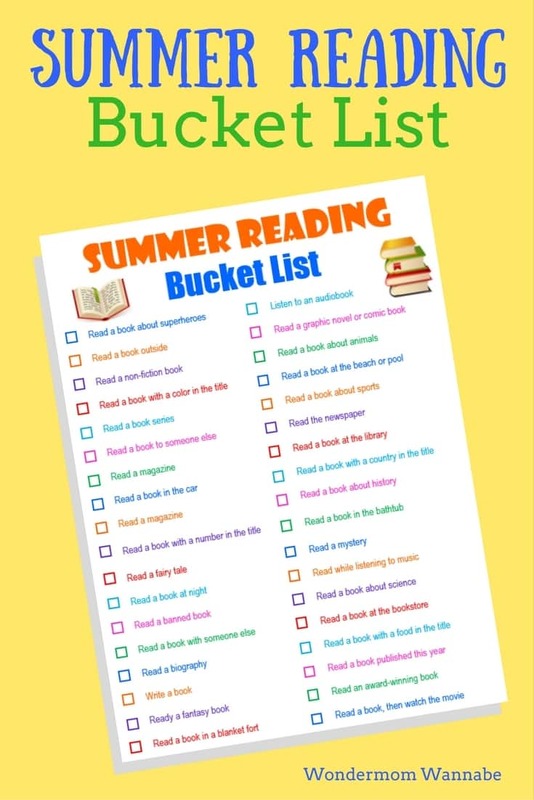 To download and/or print the Summer Reading Bucket List, just fill in the form below the image.